Yes, I still watch The Bachelor and The Bachelorette. I guess it's one of my guilty pleasures - naw, I really don't feel that guilty watching 😉. But, if you haven't tuned in this season, you need to!!! Don't worry, you only missed 1 episode, so you can catch up easily. Becca is absolutely stunning and seems like a pretty cool gal. 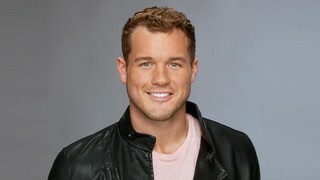 I love the show in general, but I REALLY love the fact that there is a cutie by the name of Colton Underwood this season. See!!!! Colton is a former pro football player turned philanthropist! And the coolest part is that his charity supports Cystic Fibrosis!!! It's the Colton Underwood Legacy Foundation...check it out here. He was inspired to start this foundation because his adorably cute little cousin, Harper, has CF. His Foundation has teamed up with Afflovest to provide 50 vests to those CFers that need one. They are doing one per state!! From the website, I can see that they've done 3 so far with a 4th about to be completed. So there is plenty of opportunity if you need one...you can fill out an application here. So, whether Becca choses Colton or not, I don't know....but he's a winner in my book!!! I was super excited to see some light shining on the CF community through Colton. Thanks so much for what you are doing, Colton!! On another note, I'm only 6 days away from my 35th birthday! Woohoo!! So that leaves just 6 more days of donating left. This project has been so much fun...I don't want to stop! Thanks to those that have given suggestions - I appreciate it. You can still give me suggestions for these last 6 days! You can check out all of the recipients here.